Stretching over 2,600 miles from north to south, the same distance as Oregon to New York, Chile encompasses a dizzying variety of ecosystems, landscapes, and climates. 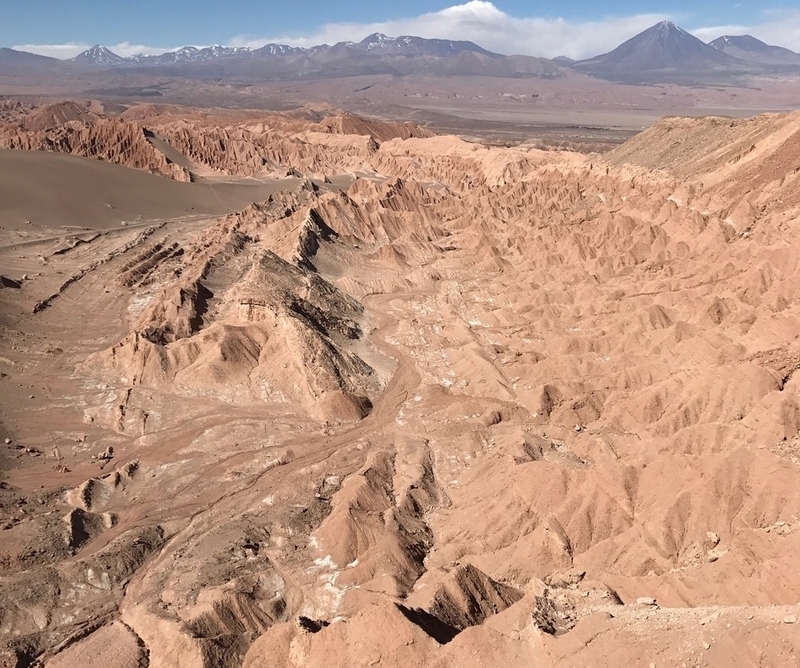 In the far north, the Atacama Desert boasts geologic wonders including geysers, mineral pools, and rock formations that will make visitors feel as if they’re on a different planet. Traveling south, the skyscrapers of Santiago dominate the horizon and then give way to the cultural treasures of Viña del Mar and Valparaìso, where you will find gloriously vibrant street art and world-class cuisine along a turbulent and beautiful coast line. Approaching the 40th parallel, the Lakes District provides a checkerboard of snow capped volcanic peaks, expansive glacial lakes, and temperate rainforest. Kayaking, hiking and horseback riding are only a few of the adventures to be had in this idyllic region. Reaching the southern tip of South America, the gray and white granite spires of Parque Nacional Torres del Paine announce your arrival at the end of the earth. Day 1 : Arrive in Santiago, Chile. Day 2 : Free day in Santiago. Day 3 : Transfer to the cultural capital of Valparaìso. Overnight in the seaside village of Renaca. Day 4 : Free day in Viña del Mar and Valparaìso. Day 5 : Seaside sandboarding on the Concon Dunes. Day 6 : Visit the Rioja Palace - historic home of the founders of Viña del Mar. Day 7 : Half day at the Jardin Botanico Nacional. Day 8 - 9 : Free days in Viña del Mar and Valparaìso. Day 10 : Full day wine tour at Casas del Bosque. Day 11 : Fly south to Puerto Montt in the Lakes District. Transfer to the Petrohue Lodge. Day 12 : Full day guided hiking in Paso Desolación and the Lakes District. Day 13 : Full day guided sea kayaking tour on Lago Todos Los Santos. Day 14 : Full day horseback riding tour through the Ecosystem of the Lake Llanquihue. Day 15 : Fly Puerto Montt - Calama. Transfer to lodging in the Atacama Desert. Day 16 : Full day guided tour to the Atacama Salt Flats, Miscanti & Menique Lagoons. Day 17 : Half day tour of Geysers of Tatio with views of the Tocopurri and Sairecabur volcanoes. Day 18 : Fly Calama to Santiago. Transfer to La Casa del Almirante in Valparaìso. Day 19 : Free day in Valparaìso. Day 20 : Transfer back to Santiago. Stop at a vineyard for wine tasting en route to Santiago. Day 21 : Depart Santiago and fly home.